The purpose of this article is to provide a primer on one aspect of those new requirements: Functional safety and ISO 26262 certification. Why is ISO 26262 important for semiconductor companies? The automotive and semiconductor industries are going through a period of extreme change, where the communications and processing technologies originally proven in the mobile phone and consumer electronics markets are being adapted for use in automobiles. As automobile manufacturers compete based on electronics-enabled features like Apple CarPlay, Android Auto, and ADAS, and work to integrate these features with other automotive systems, the complexity and amount of semiconductor content in cars will increase. In the electronics market, standards help serve the role of “quantifying the qualitative.” What does it mean if a product is “reliable”, “safe”, or “green”? There are standards for all of these qualities, and more, for products and services in many markets. 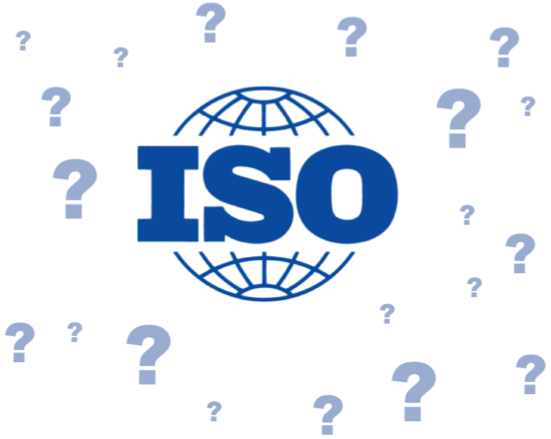 What is the ISO 26262 standard? The title of the ISO 26262 standard is “Road vehicles – Functional safety.” Its purpose is to define processes to quantify the risk of hazardous operational situations in electronic and electrical safety-related systems. The goal is to define safety measures that reduce the probability of systematic failures, detect and/or or control random hardware failures, and/or mitigate the effects of any failures. Manufacturers choose to create products in accordance with the ISO 26262 standard because it demonstrates that they have used state-of-the-art processes at the time of development. What does ISO 26262 cover? ISO 26262 covers all aspects of the automotive supply chain. A vehicle manufacturer / OEM that wants to certify that its product is ISO 26262 compliant will request proof from its Tier-1 suppliers that their products are compliant. And so on back through the supply chain. Figure 1 below shows an example simplified automotive supply chain for a Mobileye ADAS system. Each entity in the supply chain has to provide documentation to their customer regarding ISO 26262 compliance for any safety-related functionality. This is so that the customer can then claim compliance for her product to her customer. How do I join ISO? Individuals and companies cannot join ISO directly. ISO is a network of national standards bodies such as the American National Standards Institute (ANSI) in the United State and ANFOR in France. How do I make inputs to ISO standards? Standards are created in “Technical Committees,” which are working groups composed of subject matter experts from around the world. You can see a list of ISO technical committees here. The best way to have a say in standards is to participate in the technical committees. Subject matter experts are often asked by existing committee members to join. You can also contact the technical committee leaders to ask to join. The contact information to join is listed in the links on the page above, and the lead person to contact is called the “convener” of the technical committee. Please note that to become a member of an ISO technical committee, you will have to become a member of a standards organization in your country that is working on that particular standard. How do I purchase documentation of the ISO 26262 standard? The ISO 26262 standard is available for sale at the ISO document store. It comes in 10 parts with each part costing $100 to $200 to download as a pdf. How do I get my product certified by ISO? You don’t, because ISO does not provide certification services. However, ISO does accredit third party organizations to certify that an organization’s product or service is ISO compliant. An example is TÜV SÜD, which is an accredited certification body for functional safety. To obtain the necessary knowledge to achieve certification, companies often choose to work with an expert in that field. For automotive functional safety, Yogitech SPA is an example of a company that provides consulting services and tools to help companies become ISO 26262 compliant. Often, companies like Yogitech and TÜV SÜD have representatives on the ISO technical committees and help write the standards. In my next article, I will describe some of the “alphabet soup” that comes with understanding the ISO 26262 functional safety standards, including concepts like FMEDA, ASIL, LFM, and FIT.